When it comes to gas line installation in Vancouver, WA, it is important that you don’t try to make it a do-it-yourself project. There are certain risks involved, including things that the typical home owner doesn’t always know about installing gas lines. At M5 Plumbing Services LLC, we have the knowledge, skills, and expertise that it takes to safely handle gas line installation and repair. If you need a gas line installation or repaired in Vancouver, WA, treat it as an emergency, call now! Why Choose M5 Plumbing Services LLC For Gas Line Installation in Vancouver? 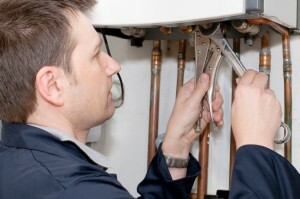 Highly trained, skilled technicians are qualified for gas line installation or gas line repair. Competitive pricing so you can afford your gas line repair in Vancouver WA or surrounding area. Emergency services offered, because we understand that gas line repair and installation cannot wait. Safety. Improper installation can cause a leak or even an explosion. We take this job seriously and install gas lines to perfection. High level of satisfaction. Customers return to us because they trust our work and appreciate our friendly, open communication. Customer Education. We offer honest, up-front pricing, explaining what we find and how we plan to treat the issue. We also welcome your input. Locally owned and operated. We understand the needs of our neighboring residents and business in Vancouver, WA and surrounding cities. Gas line installation and gas line repair are not something to mess around with! It is dangerous to allow someone who is not certified or licensed for gas line installation. It is also not something to wait to repair. Gas lines can be volatile, causing fatal explosions or gas poisoning. If you suspect a gas leak or need gas line repair, you should contact us. Stay out of the building until help arrives. Before you procrastinate your gas line another second, call M5 Plumbing Services LLC for a free estimate. 503-926-6039. Other Vancouver, WA services we do are: Drain Cleaning, Water Heater services, Water Service Line Repair.